Of all covering materials for sloped roofs, slate perhaps has the most impressive resume. In the past, it was a well-received product, but the advent of economical alternatives has affected the popularity of slate today. But nothing changes the fact that it leads the pack in longevity, and guarantees head-turning curb appeal with minimal maintenance. This natural stone is a product of millions of years of marine sediment buildup. However, not all places have the optimum conditions to form the raw ingredients into the kind of slate useful in exterior applications. In addition to clay and sand, among other things, heat and pressure are key building blocks in producing slate. Like other residential and commercial roofing materials, slate weathers too. But some aging slates aren’t subject to fading. Some quarries are known for colorfast stone, which retains its original appearance for a long period. Endurance is synonymous with slate, but denser kinds are less porous. In other words, they don’t absorb moisture as much, allowing them to deteriorate far slower than those with lower density. Traditionally installed slate roofs are notorious for wasting half of each tile as it’s tucked under another. While this material is generally considered sustainable and environment-friendly, utilizing only 50% of every slate for weather protection doesn’t sound efficient. 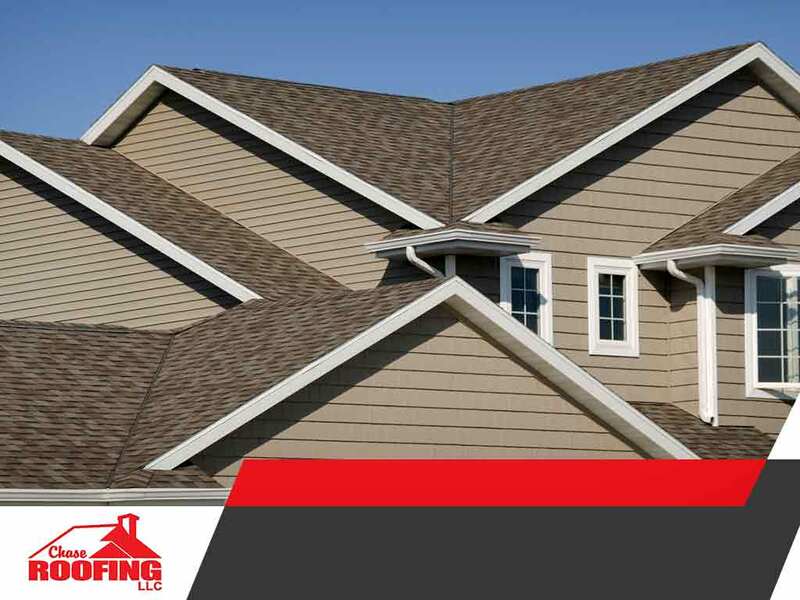 This is the reason we chose to offer GAF’s TruSlate® Premium Roofing System. It reduces your long-term roof repair costs (like traditionally installed slate roofs) but also minimizes waste. GAF replaces the hidden portion of each slate with a high-tech waterproofing material. In turn, it helps drive the cost down and combats moisture at the same time. Is slate the right material for your sloped roof? Call Chase Roofing now at (757) 333-0052 to explore your best roofing options, and receive a free estimate in Hampton, VA, or any neighboring area.